There was no homerun this time, but Gio Gonzalez decided to give Ross Detwiler a bubblegum shower. 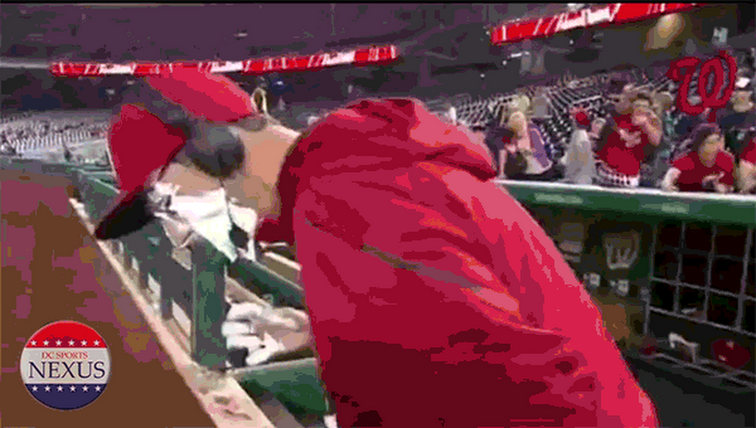 Ross was talking with the Fox Broadcasters from the dugout during the game when he was hit with an entire bucket of Dubble Bubble. Instead of ignoring it like the Gio Gonzalez sunflower seed incident, Detwiler tattled on Gio to the booth.